Dragon Quest XI is a stellar game that displays a great command of the ins and outs of its genre the way few other games can and do. What it lacks in originality, it more than makes up for with its confident execution of ideas, showing that a game doesn’t need to be revolutionary or the freshest thing on the block to be an incredible experience. 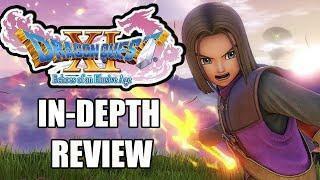 With a memorable cast of characters, a well-told, briskly paced story, stunning and vibrant visuals, and a beautiful and extremely varied world as its setting, Dragon Quest XI serves as yet another excellent instalment in this amazingly consistent franchise.